Another great climax to World Culture Month was put together by Mr. Gaucher - pictures and a movie next week! Thank you to all who came to watch, to the teachers who prepared their classes to perform and to those of you who manned a booth or walked in the parade. 1. MAP Testing for Gr 2-5: We will have the final set of MAP tests starting next week, and these will lead to the MAP reports which will head home in a couple of weeks. Here is a link to the Parent Toolkit for those of you who are new to the MAP tests. 3. 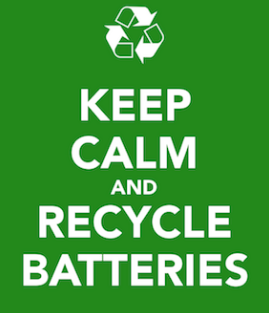 Recycling Our Batteries: Reduce, reuse and recycle!! 7. 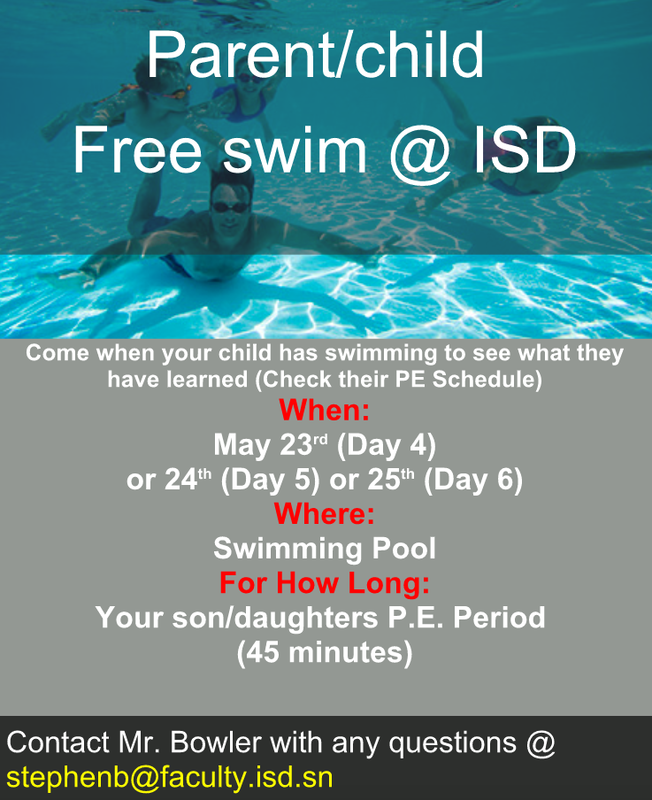 Swimming in PE Soon: Swimming will be beginning in K-5 PE from May 4. The message below is from Mr. Bowler about the parent/child swim!!. 8. ASAs: Just a reminder that the ASA's continue through May 27, and we have our ASA assembly on Tuesday May 31. 9. Gr 4-8 ASA Band Next School Year: We have an exciting opportunity for next year's After School Activities for Gr 4-8 kids. ISD's music department will be organizing after school music/ band starting at the end of August next school year. Would your child like to be involved? Do you play an instrument and would you like to share your skills with our young musicians once or regularly? To learn more, please attend the meeting in room 207 on Thursday, May 12 at 5:30 pm. 10. 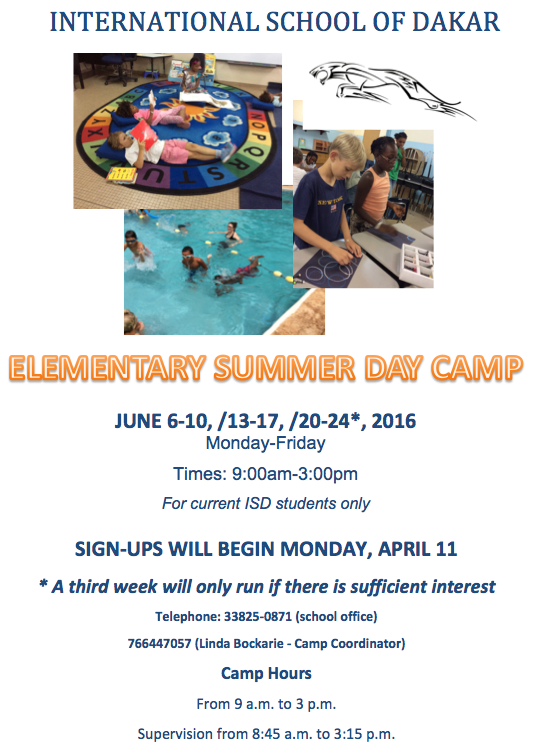 Summer Camp: Again, sign-up is with Francois in the admin office. We are almost full for week one, and filling up week two. * WEEK 3 WILL BE RUNNING!!! !